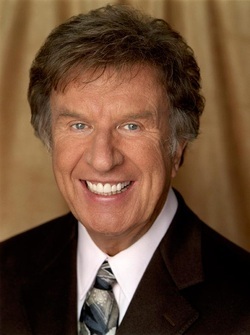 William J. Gaither is an American singer and songwriter of southern gospel and Contemporary Christian music. He has written numerous popular Christian songs with his wife, Gloria. Besides performing solo and with his wife, Gaither has appeared as part of the Bill Gaither Trio, the Gaither Vocal Band, and as a part of his "Homecoming" groups. Bill and Gloria still live in Indiana and have three grown children. On our monthly Gaither nights, we sit in comfortable chairs and sing-along with the homecoming singers on a large screen with surround sound. We also do this every Sunday Night at 6.30.